1) Place the birdhouse in such a way that the entrance to it is not facing the same way that the wind blows near your home. That is of course you want a real-life version of the movie Twister made. 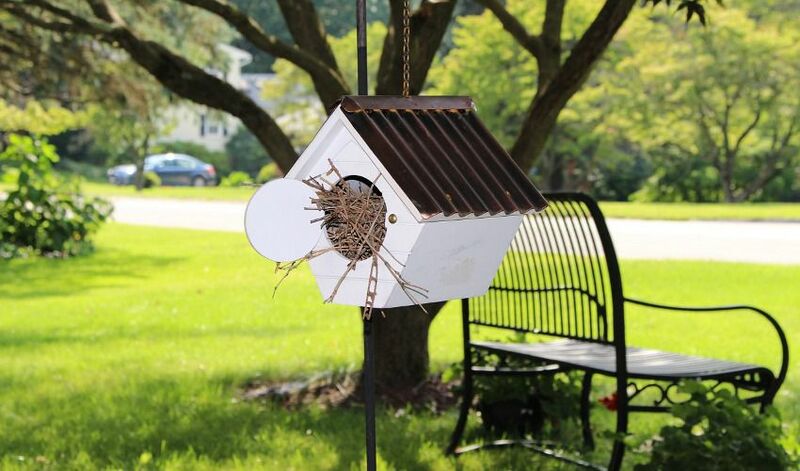 2) If you have multiple birdhouses that you’re putting up, don’t position them too closely. Birds are territorial and they don’t want to be that close to each other. 3) When putting up a birdhouse it is best to mount it on top of a six foot metal pole so that cats can’t leap up to get the birds. You also don’t want anything climbing up so use petroleum jelly on the pole in combination with hot-pepper spray.